Bus Lines Community Poetry seeks to promote poetry and flash fiction in public spaces and to provide opportunities for local writers of all ages to share their work in the wider world. 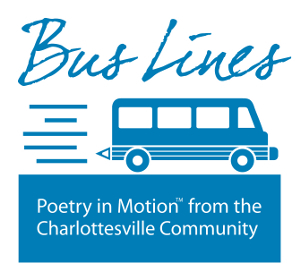 Hosted by Susan Berres, Bus Lines Community Poetry Contest, Westley Kern, Charlottesville Area Transit. Downtown Transit Center at 6pm today.